Deniece Williams has one of the most nice crystal clear soprano voice of black music with Minnie Riperton and has been largely overlooked recently. She started as a backup vocalist for Stevie Wonder but it's Earth Wind & Fire Maurice White that produced her first album, This Is Niecy: a classic. You'll find four tracks of This Is Niecy on this best of: Free, of course, Cause You Love Me, Baby, That's What Friends Are For and If You Don't Believe. 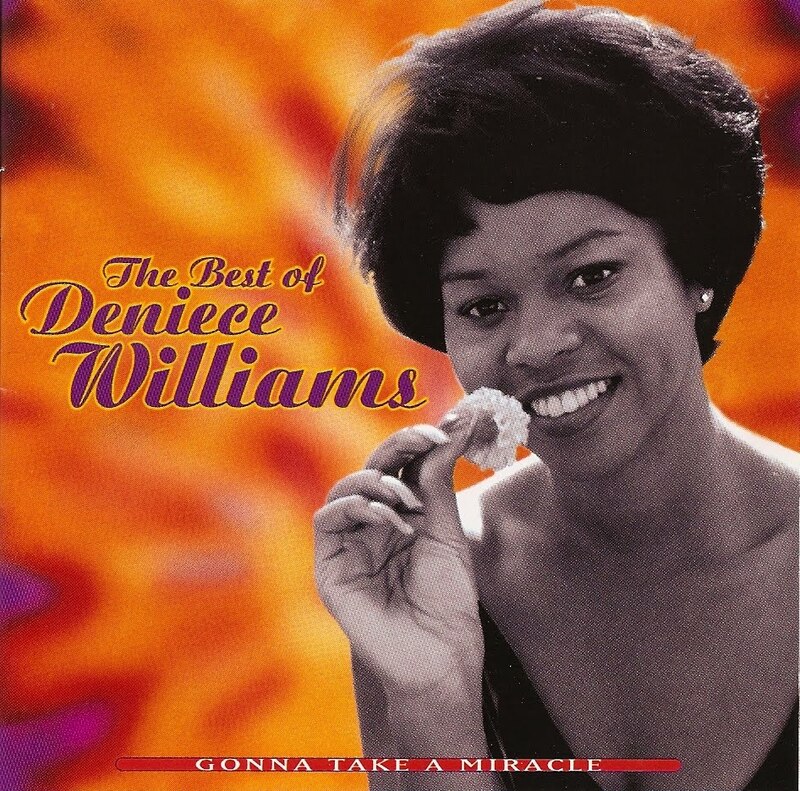 Deniece Williams continued working with Maurice White for her second album, Song Bird. Her third try, When Love Comes Calling, saw her working with other producers and releasing the excellent and uptempo I Found Love. She then worked with Thom Bell On My Melody and Niecy for a nice Philly sound. By respect for this brilliant artist, I'll keep silence on the rest of her career since the mid 80's. Gonna Take A Miracle is producer Leo Sacks personnal best of but gives you the opportunity to hear Deniece Williams greatest tracks without any real filler.